Multi-disciplinary evaluations at the ICCD offer a unique opportunity to bring professionals together around complex clinical issues. Teams may include neuropsychologists, developmental pediatricians and neurogeneticists, behaviorists, speech-language therapists and special educators. These evaluations are designed to quickly bring multiple clinicians together around clinical questions, often of an acute nature, and to offer prompt feedback and interventions. Who is a candidate for a multi-disciplinary team evaluation? 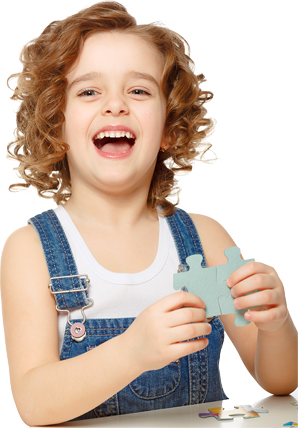 Children with a variety of diagnoses or suspected diagnoses are candidates for team evaluations. These include autism and autism spectrum disorders, such as Asperger’s Syndrome; ADHD and executive functioning disorders; children with complex learning disorders such as Nonverbal Learning Disability; and children with genetic or neurological disorders. Infant and preschool age team evaluations. Infants and pre-school age children who present with neurodevelopmental concerns require rapid assessment and initiation of intervention. These children may be seen for multi-disciplinary evaluations to obtain diagnostic impressions and treatment recommendations. These young children are often seen by a neuropsychologist who specializes in assessment of young children, by a pediatric neurogeneticist, and by a speech-language therapist. School age children and adolescents team evaluations. Many children with complex learning needs and developmental profiles have received numerous assessments, yet a cohesive clinical picture and set of recommendations may be yet to emerge. Team evaluations for these children typically center around the efforts of a neuropsychologist and a physician with expertise in psychopharmacology. Depending on the profile of your child’s needs, a comprehensive speech and language evaluation may be recommended to look into the language underpinnings of difficulties with reading, writing, and social communication. The goal of these evaluations is to integrate information from across clinical domains, to produce a treatment plan, and to immediately initiate interventions to manage acute symptoms. Visit our Speech and Language services page.